Originally from Massachusetts, Quincy now lives in Oakland, where he teaches at a local high school. After graduating from Yale in 2007, he lived in China for three years, teaching English and later working as a copy writer. 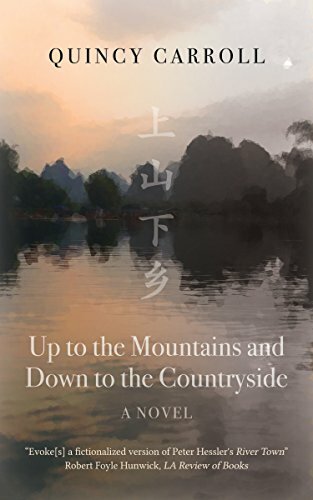 Up to the Mountains and Down to the Countryside is a rather unusual and enigmatic title. Old China Hands will know it as the name for Mao Zedong’s policy of sending urban youth to rural areas in order to learn from the peasants. Why did you use it? Ultimately, what persuaded me to go with it was that I thought it best represented the soul of the novel. On a purely superficial level, it captures the setting of rural Hunan perfectly. More to the point, however, I believe it evokes the central themes of the story well: being humbled, and acknowledging the vicissitudes of life. To me, there’s something pleasingly ironic about watching a band of Westerners complain about their struggles in the Chinese countryside too, given everything that has happened there over the last century, and as the novel is trying to say something about the anachronistic nature of the “ugly Westerner” in Asia, it’s for this reason, mainly, that I think the title works well. The novel is set in Ningyuan, Hunan Province, a small city in south-central China where you spent two years teaching English. Did you enjoy your time there? Absolutely. I know that UMDC isn’t the most “sunshiny” book out there, but that is in no way a reflection of my own attitude toward Ningyuan. The two years I spent there (2008-2010) were by far the most important years of my life, and although a lot of that had to do with the fact that I was going through a major career change (banker to writer), much of it had to do with the environment itself. I made some of my best Chinese friends there (they have since relocated to other parts of Hunan and, in one case, Beijing), and I had the time and isolation required to step away from everything and buckle down and write. It was an adventure, in the truest sense of the word, and whenever I think back on those years, I get extremely nostalgic. Living in the Chinese countryside was difficult, no doubt, but it gave me an entirely different perspective on the world, and, in the end, it forced me to grow. China sends some of its best and brightest young people to the United States. Are Westerners in China of a similarly high caliber? One of the most common questions I get in response to the book is, “Are foreigners really that bad in China?” The answer is, of course, no—for the most part. Characters like those who are spotlighted in UMDC simply stood out to me upon my arrival since they were so grating and over-the-top. Part of my goal in writing this novel was to subvert the assumed power relationship between China and the West and show that the dynamic is changing. 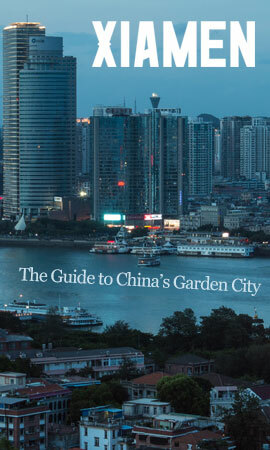 I would have to guess that the prevalence of seedy foreigners in places such as Guangzhou, Shanghai or Beijing is much smaller than in Hunan, but men like Guillard definitely form an appreciable subset within the nonnative community. That being said, even in a second-tier city like Changsha, where I worked for one year while writing the novel, there was an inspiring number of highly intelligent, respectful and motivated people from the West. I’d be quite surprised if the demographic doesn’t continue to shift more toward that profile in the future. Why did you not use quotation marks in the novel? I’m an enormous fan of Cormac McCarthy, and that is where I was first introduced to this style. More than a few readers have mentioned in reviews that, because of this absence of punctuation, they found it difficult to follow along with the story, and for that, I am sorry. (Most people have told me it just takes a little getting used to.) I didn’t do this to copy my favorite writer, though. The reasons are threefold: 1) I believe the lack of quotation marks helps to support the “fictive dream,” by which I mean that readers are not reminded of the fact that they’re reading a book every time they come across, as Mr. McCarthy eloquently puts it, “these funny little marks.” 2) In my own experience reading authors like Faulkner (who’s also been known to leave them out) and McCarthy, the lack of punctuation lends a certain rawness, or maybe you could say meanness, to the text, and I felt this matched the setting, tone and characters well. 3) Foregoing the quotation marks forced me, as a writer, to be more intentional as I worked; I had to be certain that I was supporting everything by way of context, which I feel makes for a more cohesive text. And I believe the same thing applies to readers: it might be a little hard to follow along at first, but in the end, the story is tighter. Are you happy with the response to the book? 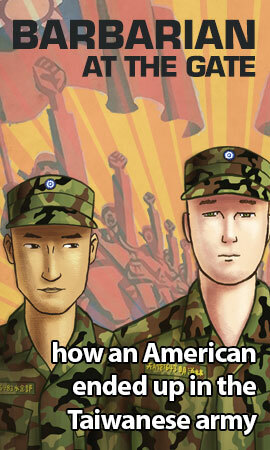 I was nervous at first about how the book’s target demographic might react, since UMDC doesn’t exactly paint the most flattering portrait of foreigners in China. Fortunately, those doubts proved unfounded. Pretty much everybody I’ve heard from so far who has lived in China and read the novel seems to have understood what I was going for, so I believe that the story’s message rings true. There hasn’t been a lot of publicity around the book (yet! ), but a very kind review was posted recently on the LA Review of Books’ China Blog which likened the novel to The Sun Also Rises. In the end, all I can really ask for is that the story resonates with others, especially those who’ve had similar experiences. If I hear someone say, “Yes, that’s what it’s like to be a foreigner in China,” then I feel I’ve done my job. The ending, without a doubt. I spent about two years, on and off, penning the first 40% of the novel, then I hit a wall. From the start, I’d had a very strong sense of the setting (since I’d lived there) and the characters, but once it came time to ramp up the action, I felt self-conscious about coming off as “overly dramatic.” At that time, I wasn’t entirely certain of what the story was trying to say (maybe, subconsciously, I did, but I couldn’t explain it to myself), but I did know that I wanted UMDC to be a serious read, not one in which action took priority over the larger ideas I was trying to address. Every good story needs enough action to keep the plot going (and the audience interested), however, so it took me quite a while to strike a balance I was happy with. I’m still not sure if I succeeded. The review in the LA Review of Books said the climax was “contrived, yet satisfying,” and I view that as a fair assessment. There’s just so much pressure that you place on yourself as an author to do justice to something you’ve been slaving over for—in this case—years. I wanted to be true to the characters when it came down to it, and from that standpoint, I think the end of the story works. What can I say? Writing is hard. I didn’t begin to write until after I’d graduated from college. One of my best friends, who shared a suite with me during our first two years, is also a writer, and he was the one who gave me the confidence to try my hand initially. I quit my first adult job (in banking) after only four days—somehow, I knew it wasn’t for me—and spent the remainder of that year reading religiously while I worked across the street from the bank at a bar. Once I arrived in China the following August, I committed myself to writing. After Ningyuan, I returned to the States and studied in the M.F.A. program at Emerson College. It’s pretty ironic that I ended up an author, since the primary reason I decided to major in Economics in college was to avoid writing papers. Like most writers, I work best in the morning. Last month, I joined a shared workspace in downtown Oakland, and that’s boosted my productivity considerably. There is something to be said for waking up and getting dressed, then packing your bag and walking to work. Clocking in, clocking out. I usually start a little after eight and work straight through until noon, at which point I go to my job, which is another hike across town. I like the walking, because it gives me time to think. I’ve always been a slow writer, so if I get a page down, I’m happy. The only strange habit I have (which I probably shouldn’t admit), is that I feel this need to write so that my lines come out naturally kerned (i.e. justified without having to hit “justify,” no extra spaces between the words). I know, it’s borderline, if not outright OCD, but it helps me move on. It’s just stupid because it all ends up getting jumbled after being transferred to the page (or website), anyway. My second novel, tentatively titled Middle Kingdom (I know, SUPER cliché, but give me a chance to explain), centers on a man who has recently returned to the States from China after several years abroad. I guess you could say that it’s a thematic sequel to UMDC, but the characters are different. 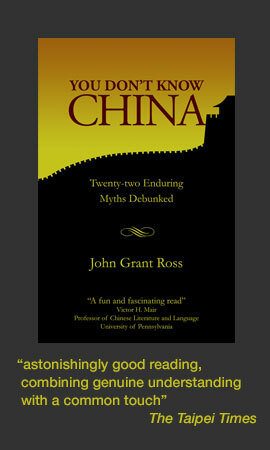 The story is composed of a series of vignettes which alternate between second- and third-person narration; the former presents a nostalgic, lucid dream-like account of the protagonist’s time in China (told from his perspective), while the latter shows a more objective view of his life in America from the perspective of his family and friends. At this point, I’m still not entirely sure how to talk about it intelligently, but it has something to do with determining where one feels the most at home (thus the title Middle Kingdom) and, again, the idea of being an outsider as a white person. The main character, Cole, lives in a community that’s undergoing gentrification, so I’ve been playing with the contrast between being a foreigner in China and being a “foreigner” in the inner city. The book, I’m hoping, will delve into the extent to which environment affects identity and the phenomenon of “the grass always being greener.” You can read an excerpt here. The novel was originally published by Inkshares. 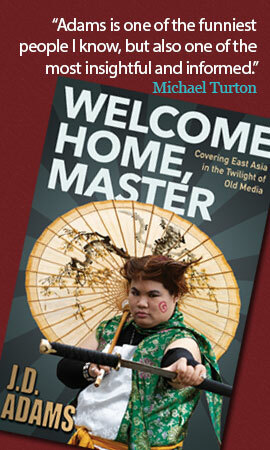 The second edition is published by Camphor Press and is also available from Amazon.com and other retailers.